For children, there is a children's pool, waterslides, miniclub 2-12yrs open June to september and organised activities and entertainment. The hotel's own private beach offers water sports, volleyball and a bar. 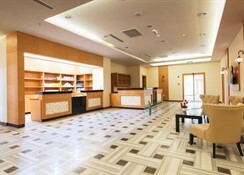 The SPA centre offers a small fitness centre, hairdresser, manicure and pedicure salon, Turkish Hamam (massage) and sauna. The hotel is situated just 50m from it's own private stretch of beach and placed in an area of beautiful scenery including mountains and the Mediterranean Sea. The resort of Kemer is a short distance away. The hotel's outdoor pool has a bar serving cooling cocktails and soft drinks. There are waterslides for children and a seperate infant's pool. 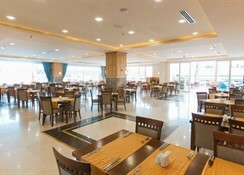 The main restaurant offers buffet meals with tastes from around the world, and local specialities. The hotel also has a rooftop restaurant serving a la carte Italian cuisine with a spectacular view of the Mediterranean Sea and the snow-top mountain Tahtali. The pool side snack bar is open from 10-5 daily and the bar is open late for a drink with live music following entertainment shows at the ampitheatre. 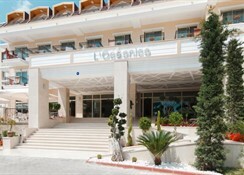 The L'Oceanica Hotel has been designed to provide high standards in every aspect. All rooms are spacious enabling a comfortable stay; especially for families with children. 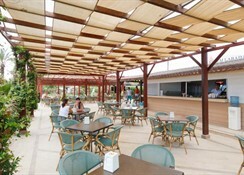 The facilities include: a fine dining first-class restaurant, open eating area, lobby bar, snack bar, multi-purpose entertainment hall, amphitheatre, outdoor swimming pool, 2 slides, 6 hole mini golf, fitness centre, Turkish bath and sauna, massage facilities for both male and female guests, hairdresser, boutique stores. It is the aim of the staff at L'Oceanica to exceed guests' expectations by presenting warm Turkish hospitality and the highest standard of services possible. Available in all rooms: telephone, flat screen television, air conditioning, minifridge, internet service and a safety deposit box (with charge).Private bathrooms include a bathtub, emergency phone, hair dryer, make-up mirror and speakers capable of broadcasting television or music programming.